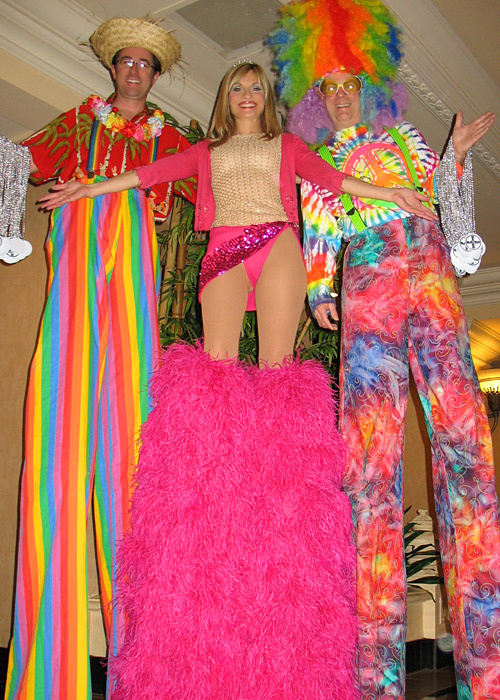 When hiring Stilt Walkers for your event, you are providing entertainment with altitude! 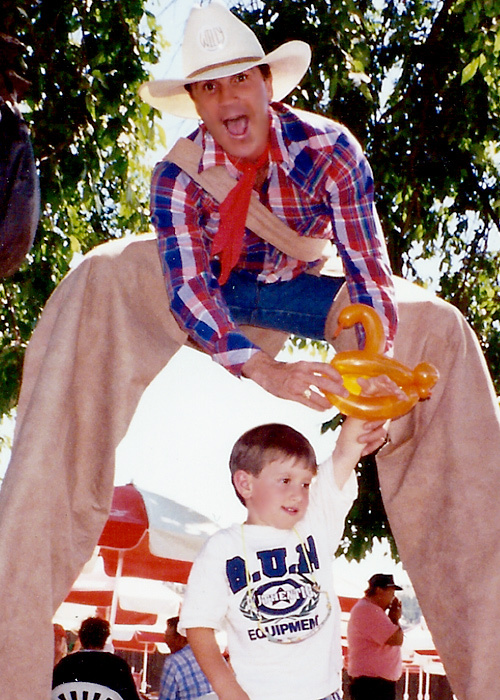 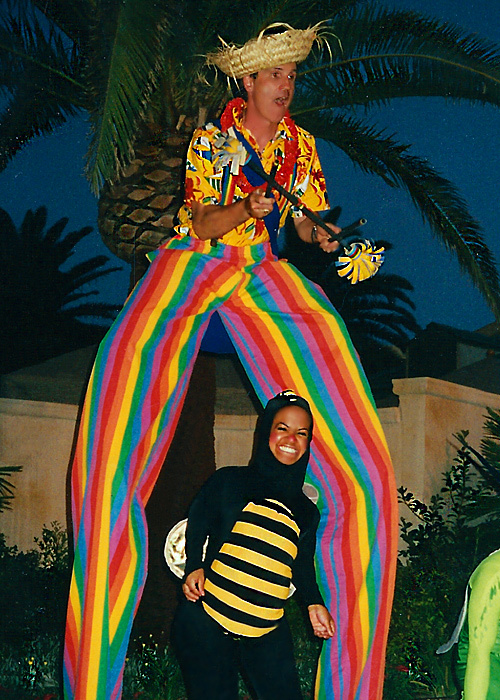 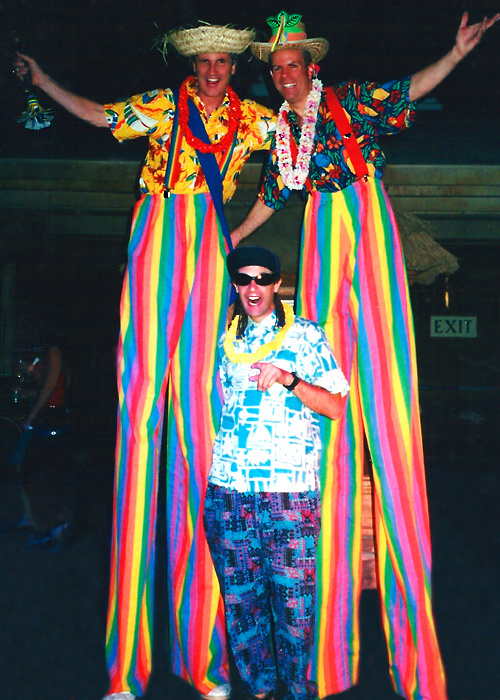 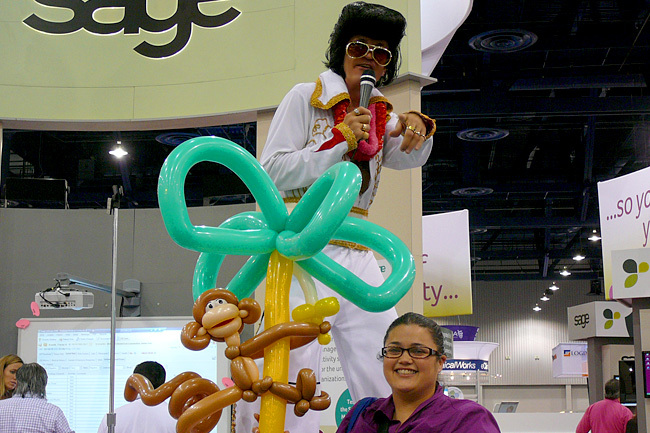 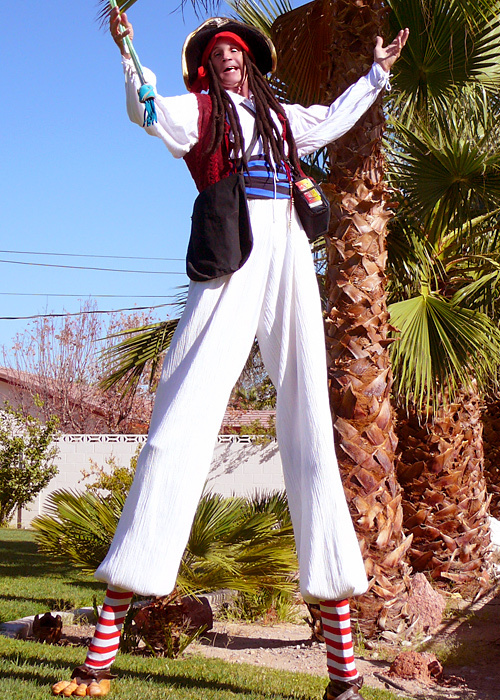 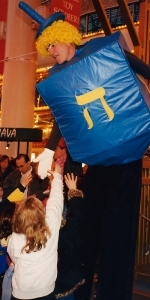 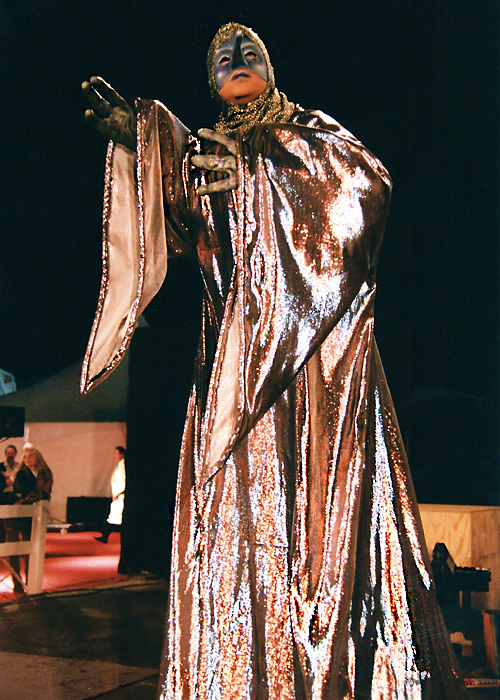 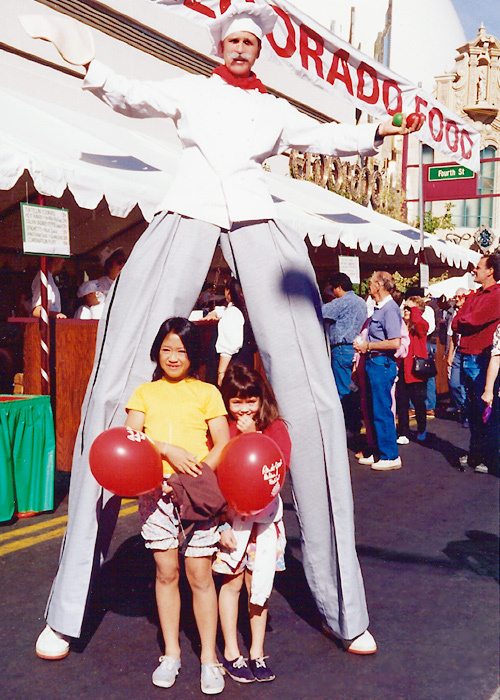 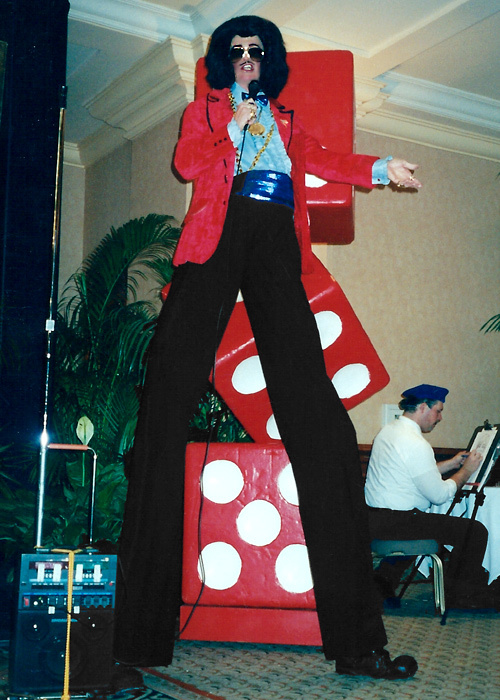 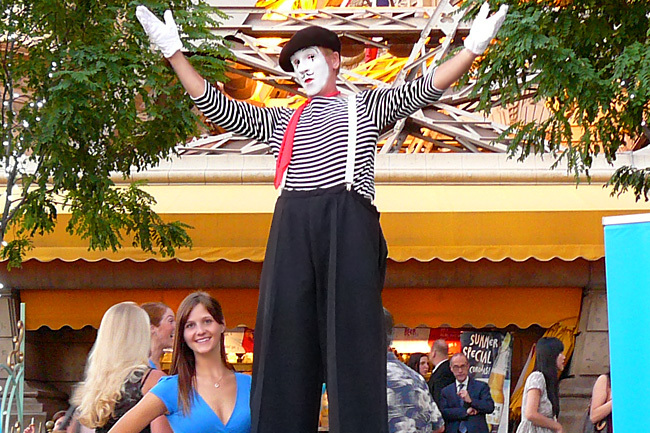 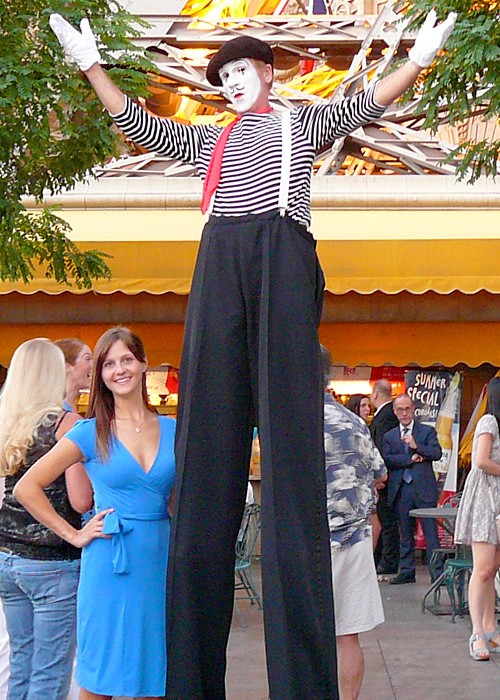 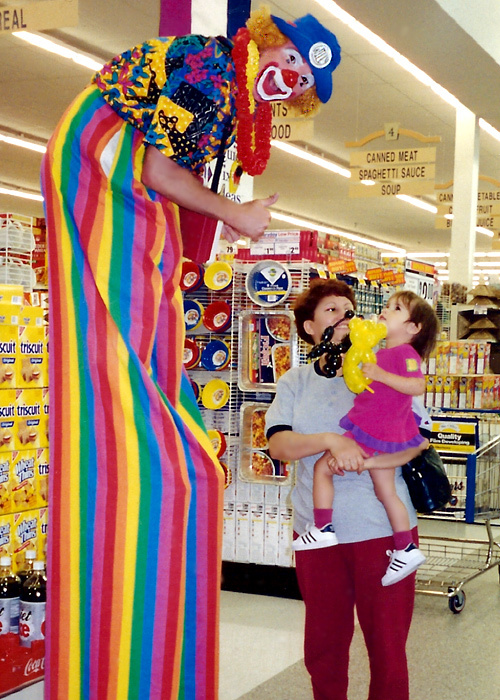 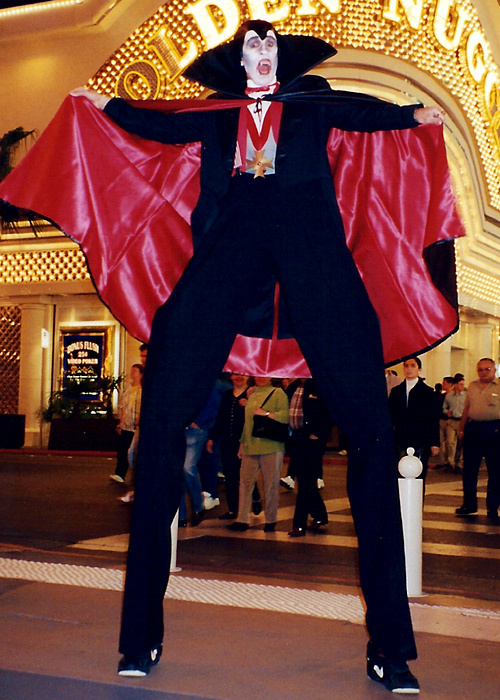 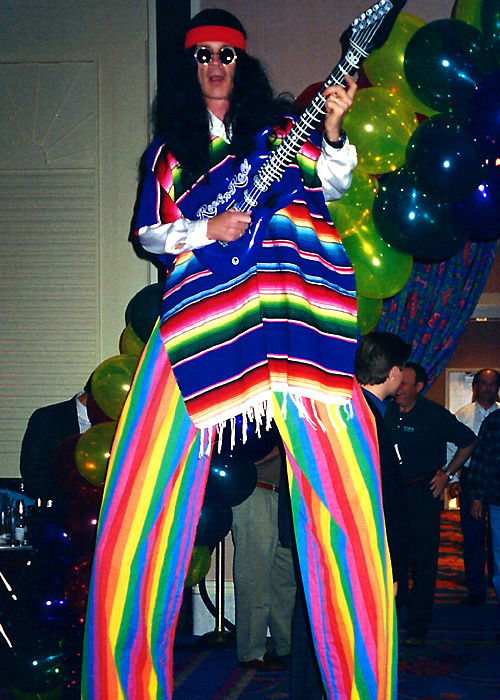 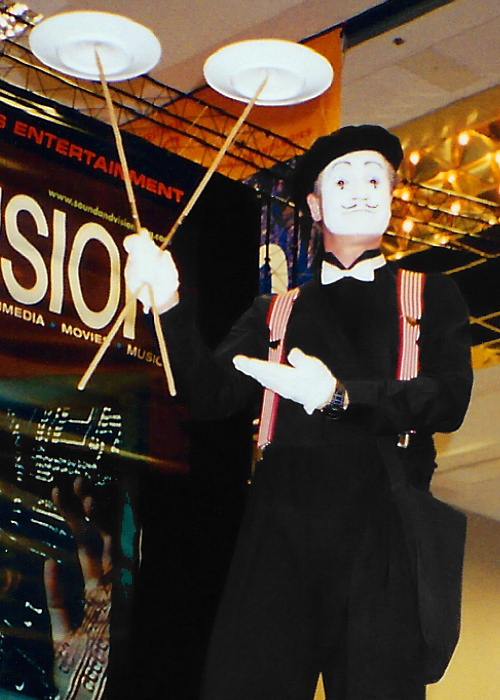 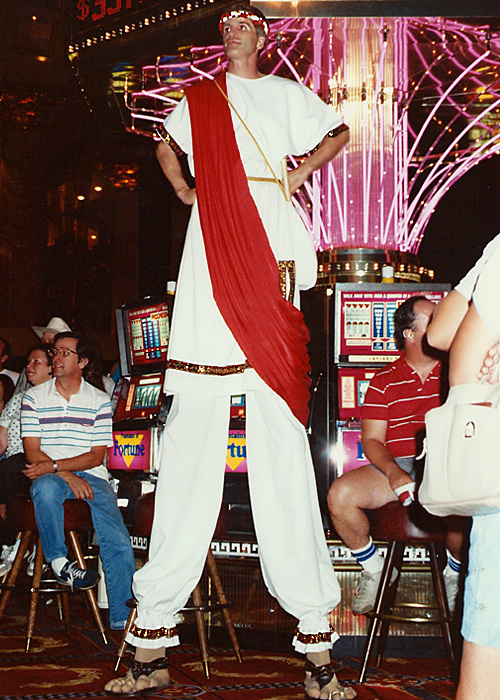 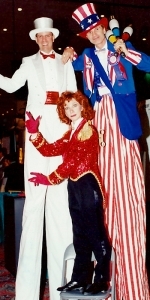 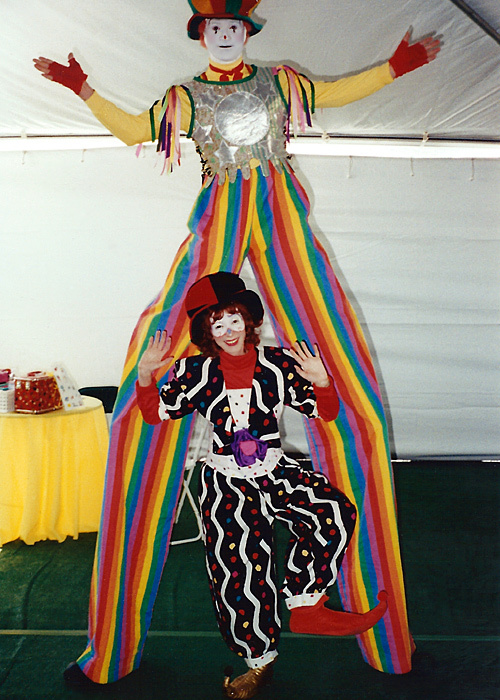 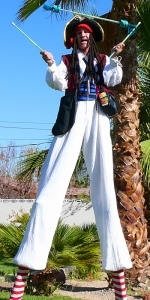 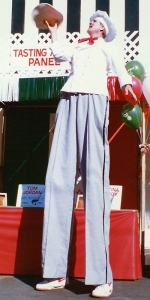 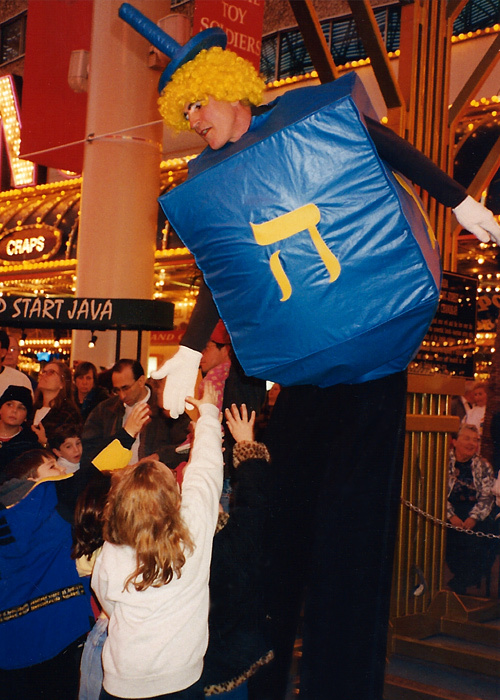 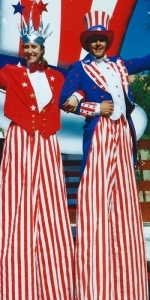 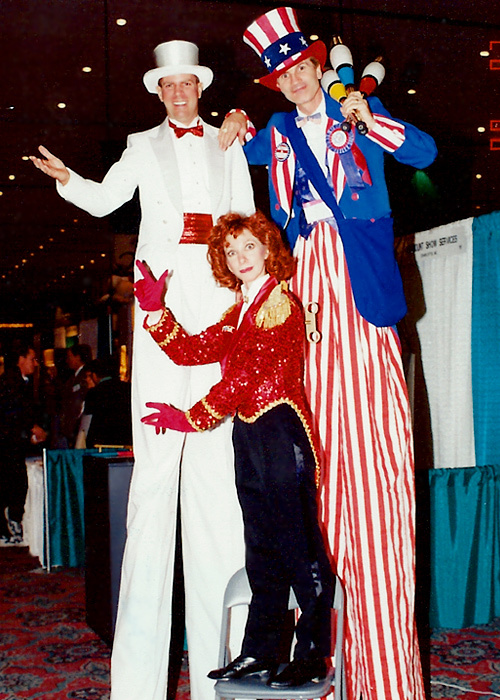 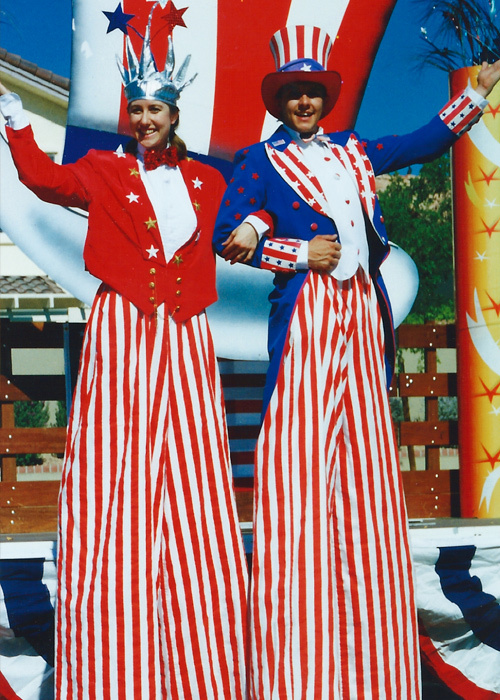 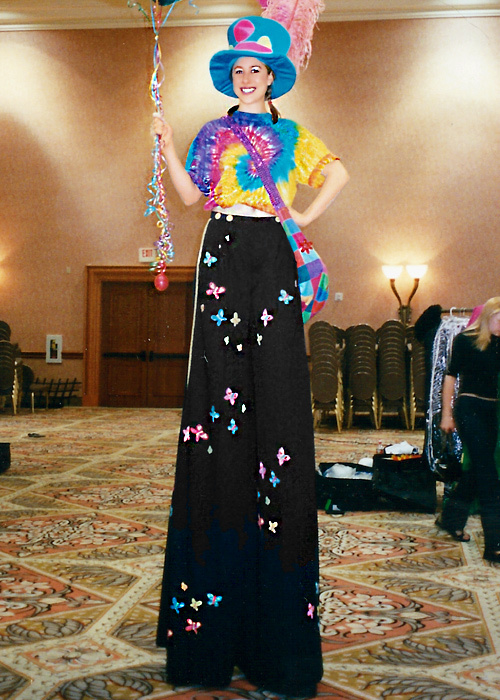 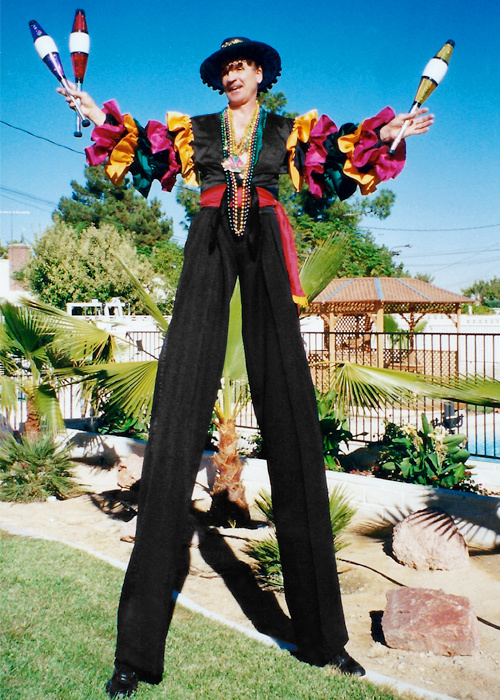 Our Las Vegas Stilt Walkers are humorous and perform to the height of everyone’s expectations. 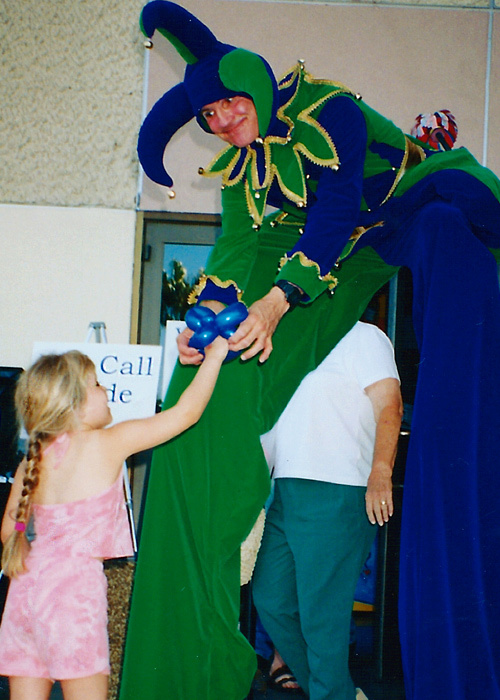 Our performers are also multi-talented and can meet & greet, juggle, make balloon animals, dance, spin a rope and even perform magic! 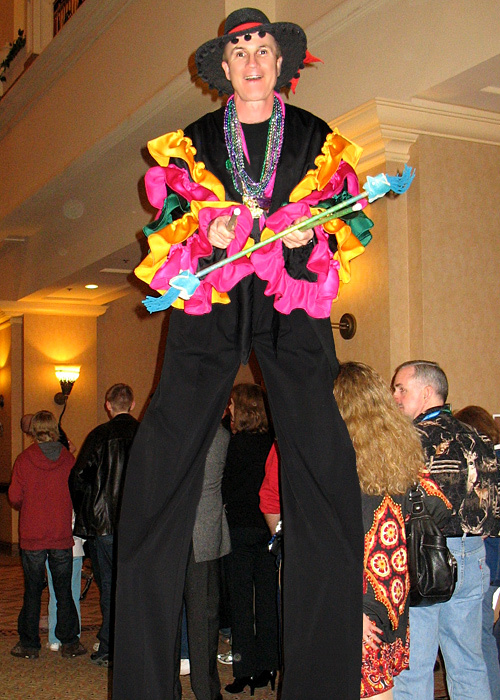 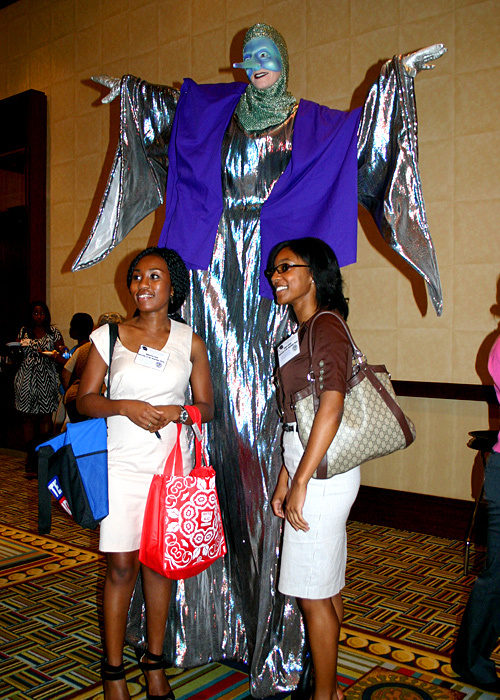 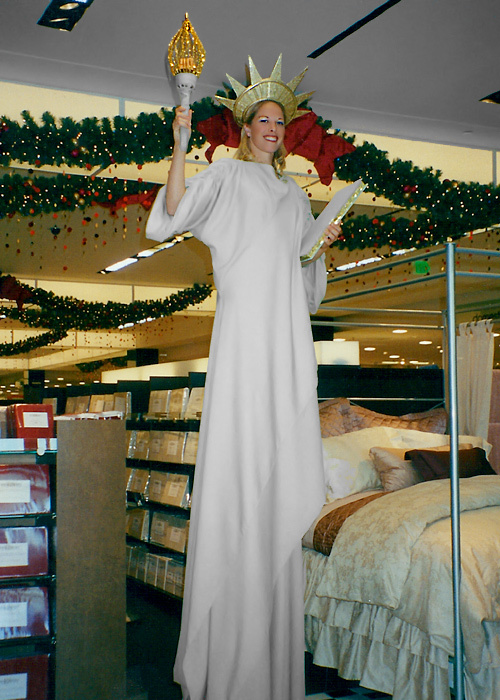 Stilt Walkers are great for every kind of event. 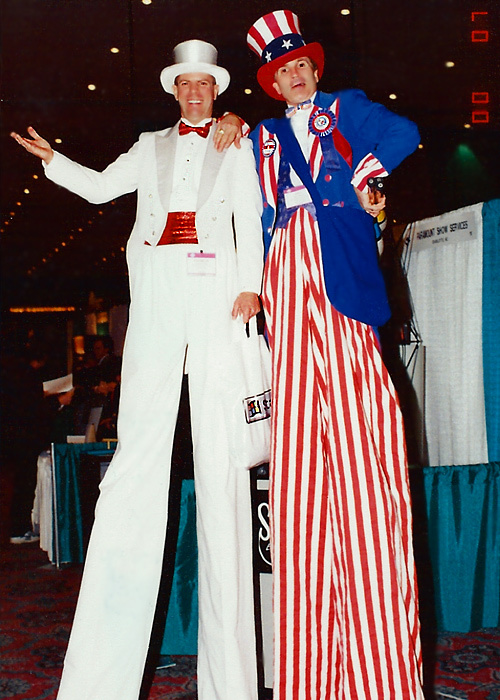 They are wonderful for drawing attention to booths at conventions and can even be the spokesperson for your products & services. 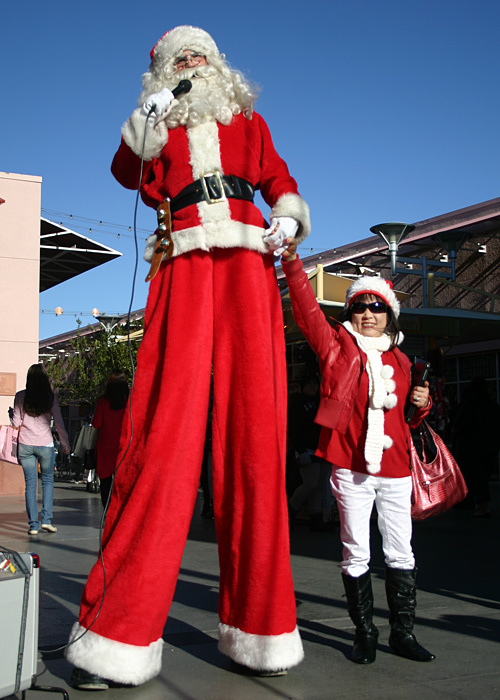 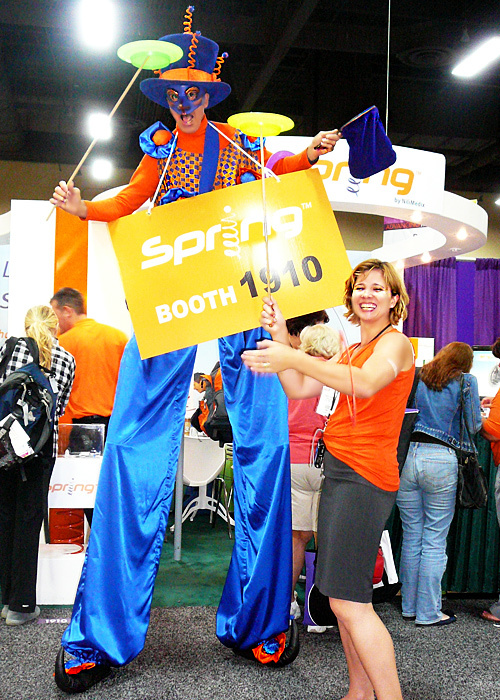 Our Las Vegas stilt walkers are perfect for attracting attention to Grand Openings & Sales Events. 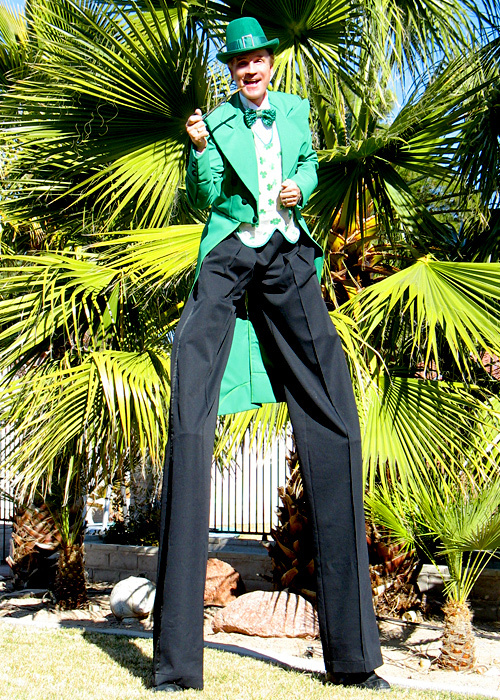 Some of our stilt walkers have appeared at Harvest Festivals, State Fairs, School Carnivals, 4th of July and St. Patrick’s Day Parades. 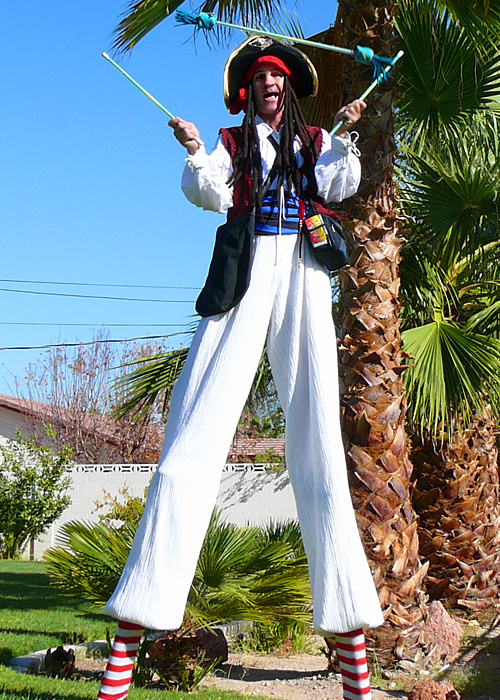 Our Las Vegas stilt walkers can be hired for any size party or event. 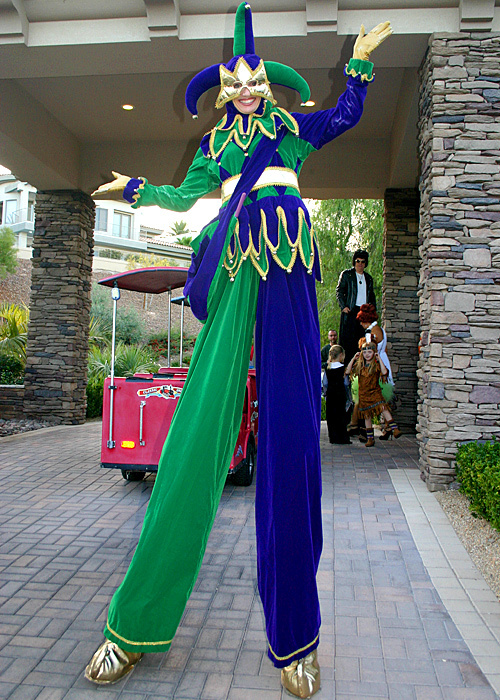 When guests and clients enter a function and see stilt walkers, they know they are in for a very special evening. 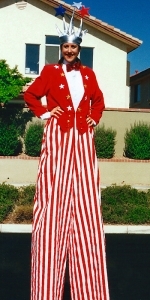 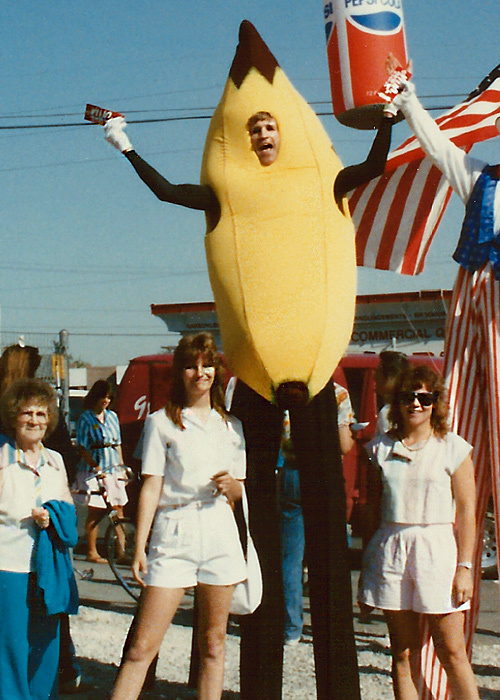 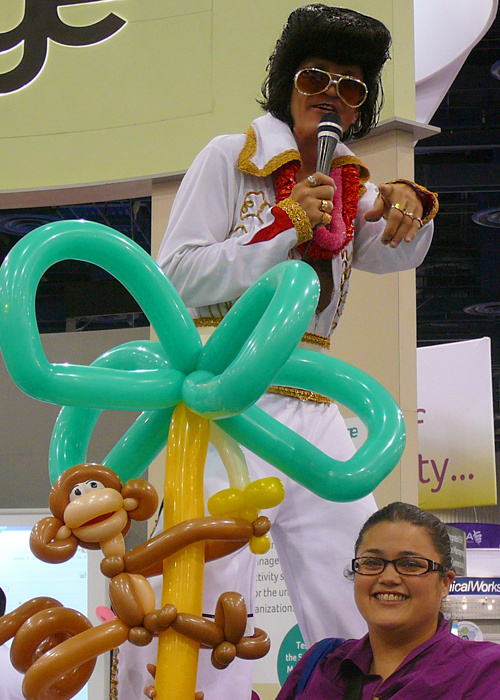 If we do not have a costume that fits your theme, we can design one that is perfect for your event. 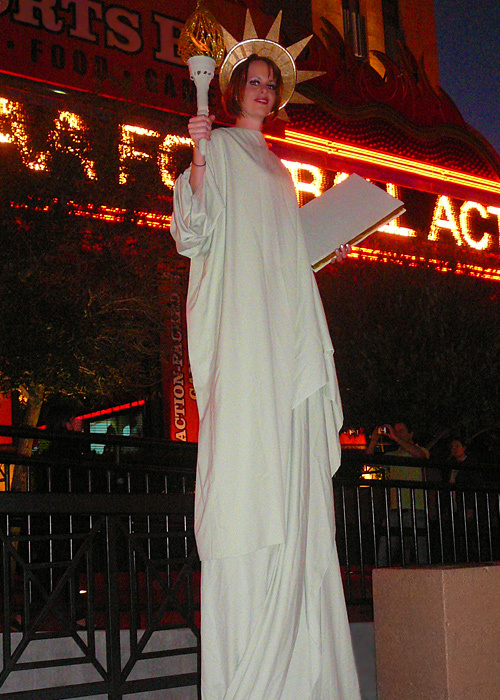 Additional costume fees apply. 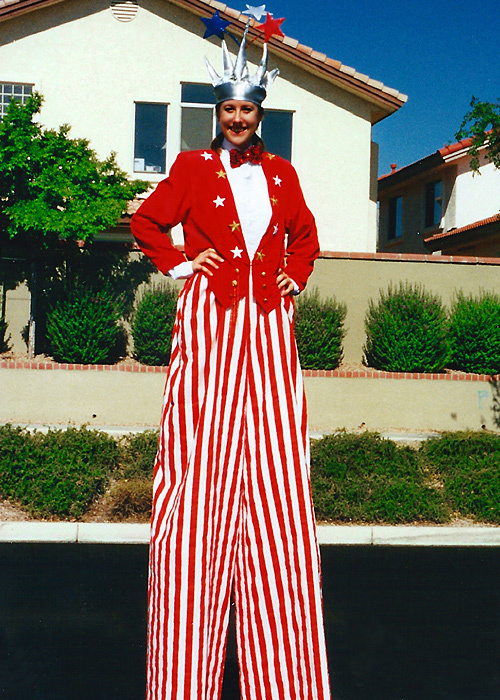 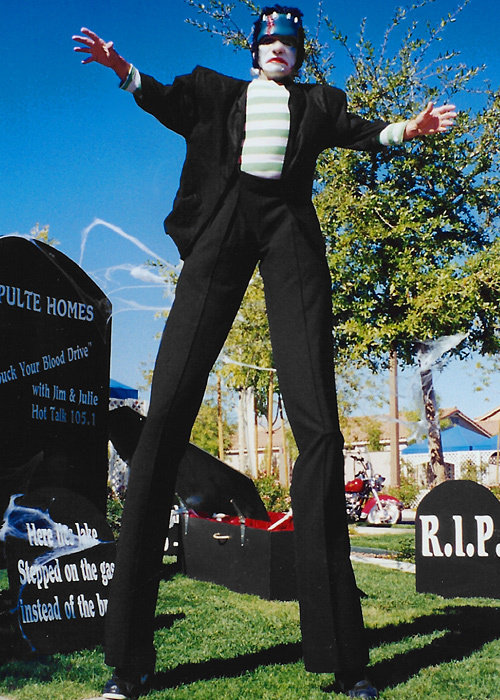 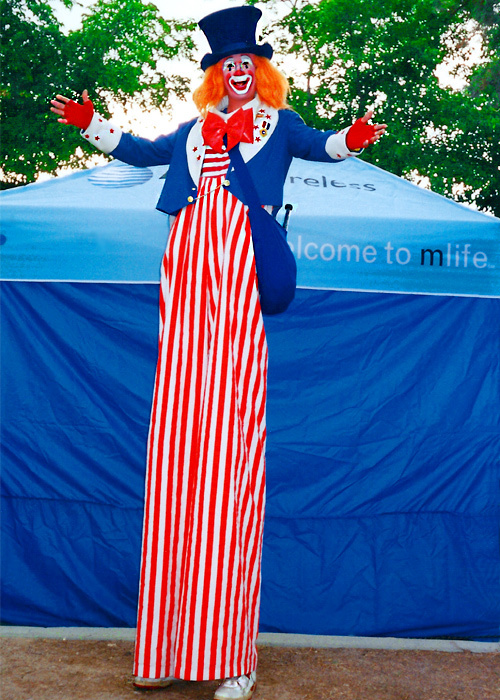 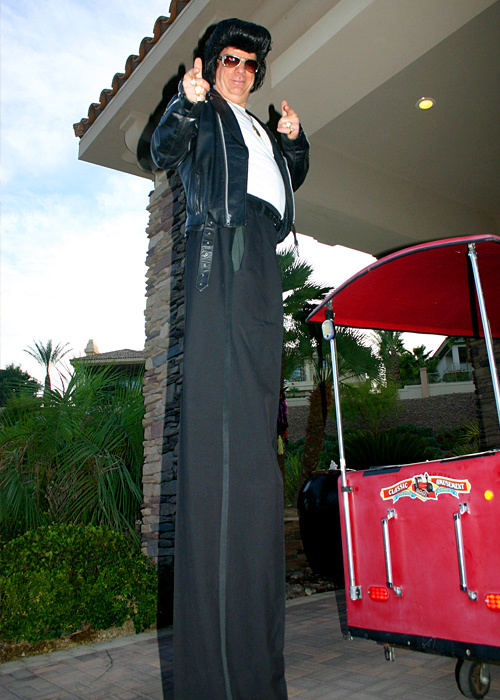 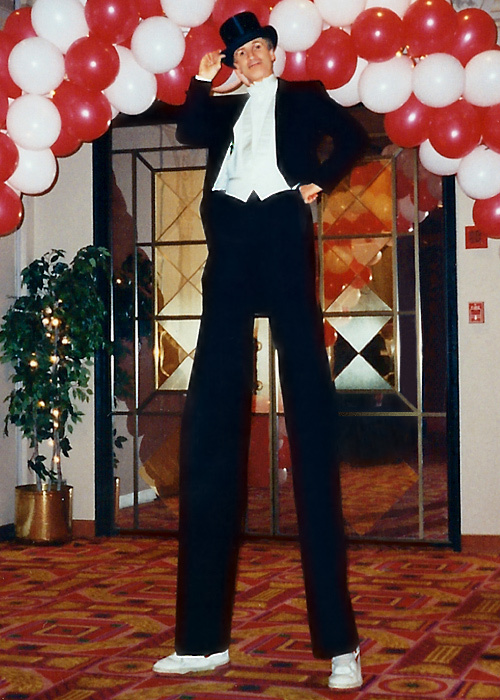 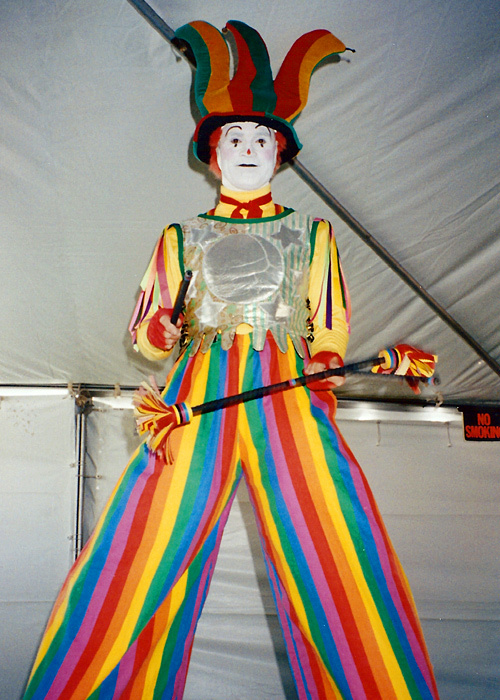 Contact Us To Schedule A Las Vegas Stilt Walker Today! 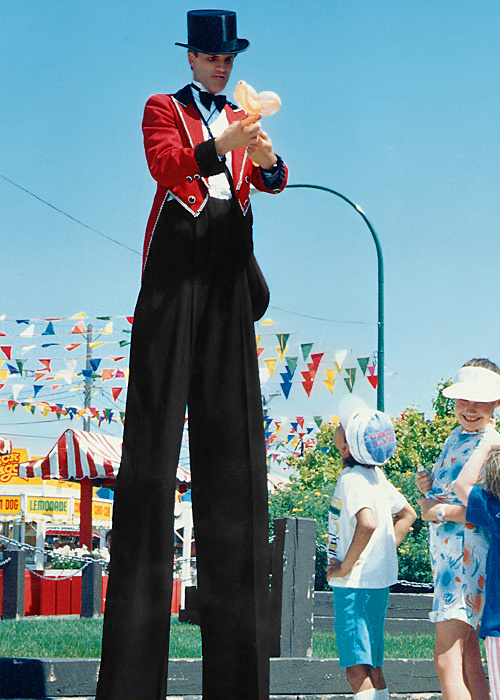 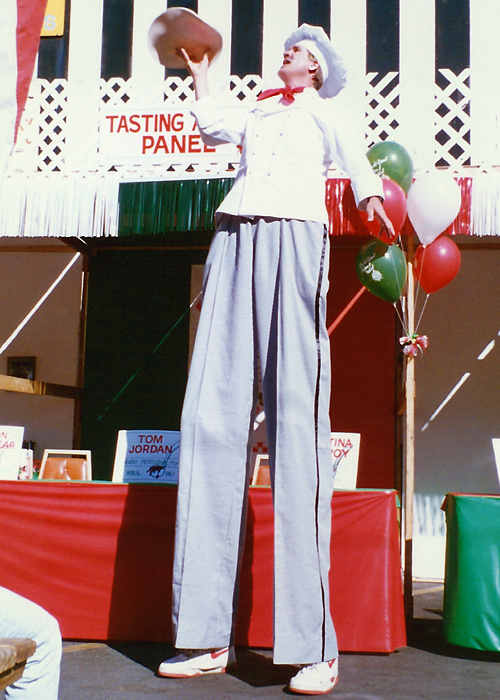 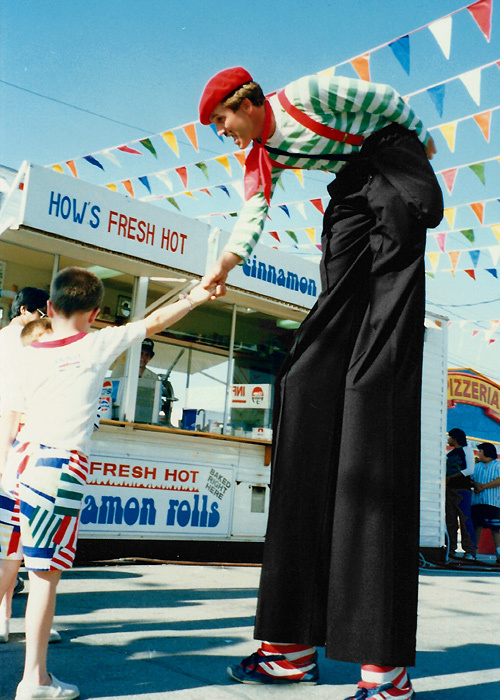 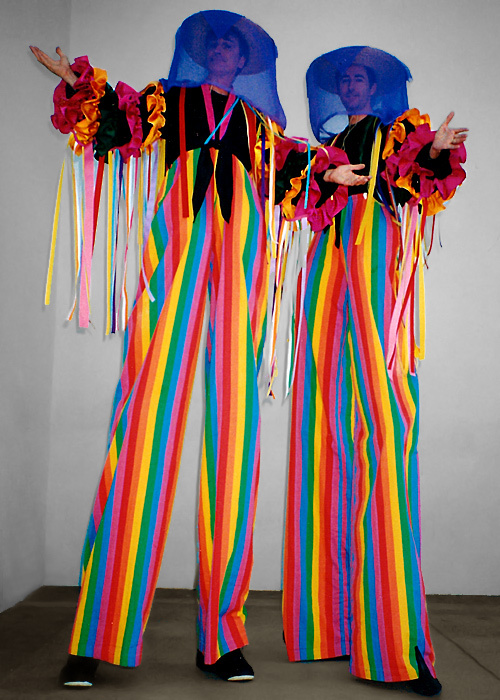 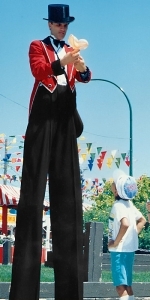 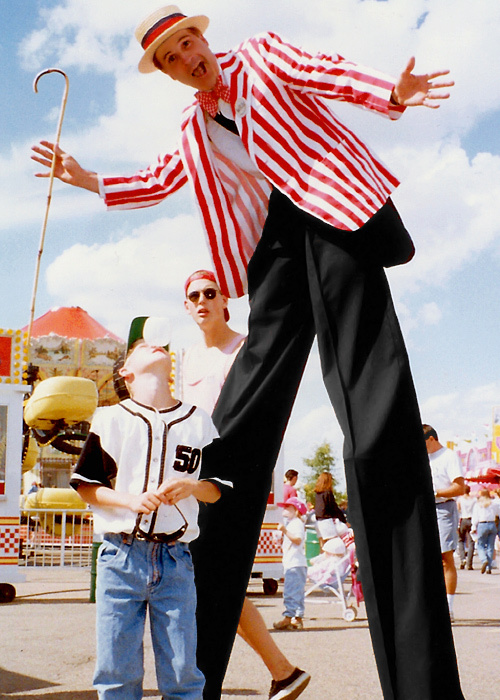 Click Here – For interesting facts about Stilt Walkers. 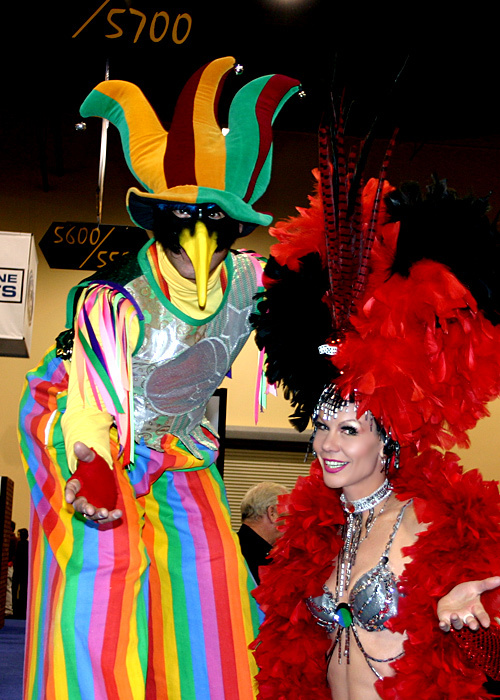 We accept VISA, Mastercard, Discover & American Express!